Who doesn’t love cheese? Unless you’re lactose intolerant, it’s almost impossible to find someone who doesn’t like cheese. 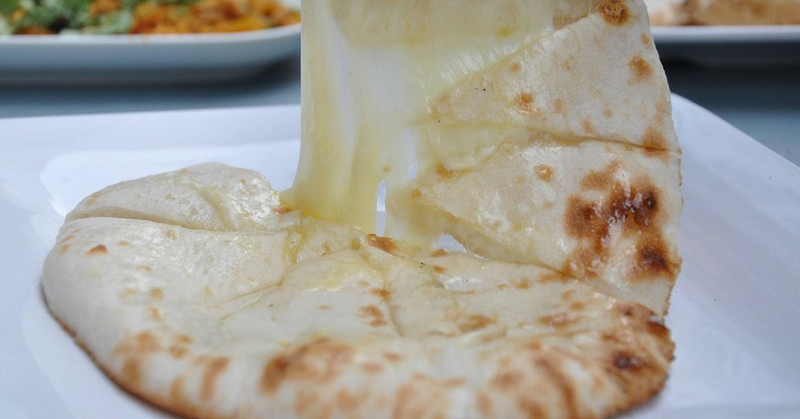 In Malaysia, Cheese Naan is perhaps one of the most popular mamak food. If you’re craving for one right now here’s where you can score yourself some good ol’ Cheese Naan! The name itself is an indication on how best the Cheese Naan is in this restaurant. There are various types of Cheese Naan available for selection over here! The best part about this place is that you can even add double cheese onto your Cheese Naan and marvel on how the cheese oozes out beautifully. Have you tried something that is overloaded with cheese? Their Cheese Naan is topped with loads (we meant LOADS) of cheese strings, which makes it extra cheesy and special. This place is known for its wide-ranging menu and creativity. So, expect nothing short of the boom boom pow factor when you order their Cheese Naan because they will make your taste buds go “woooooh”. The Gouda Cheese Naan is one of the most popular dishes here. It has 2 layers of naan which is filled with cheese. On top of that, there are butter, caramel, and chocolate sauce on the side to go with the extra cheesy naan! One cannot deny that Cheese Naan is good enough to be eaten on its own (reminds us of bread of a certain brand). Over at Steven’s Corner, their Cheese Naan is served along with their special homemade dhal, which elevates the taste a few notches up!